​Tevin Coleman put on the jets to burn the Arizona Cardinals defense for his first touchdown of the game. 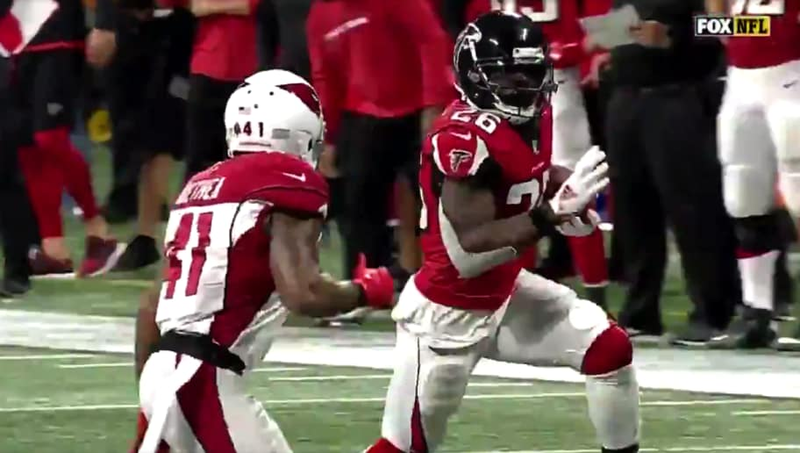 The Falcons running back was able to break through the line, break a tackle, then bolt his way into the end zone to put his mark on a game that has been ALL Atlanta. Just look at that second burst of speed, the guy can absolutely fly.